My mum introduced this to me way back when I was a kid and I just love it with any roast. Actually, I think I only ever make it when I'm having a roast come to think of it. I can't ever remember not liking zucchinis but to offer this to my boys would be a great waste of time and zucchini! I think I have finally learnt not to make the boys eat foods they REALLY hate. After 3 years of putting food that I know they don't like on their plate and getting the same reaction EVERY time, I have decided to give myself a break so I can enjoy the family gathering around the dinner table without me being annoyed because they are saying what ever it is, is DISGUSTING.....yep, I'm picking my battles! 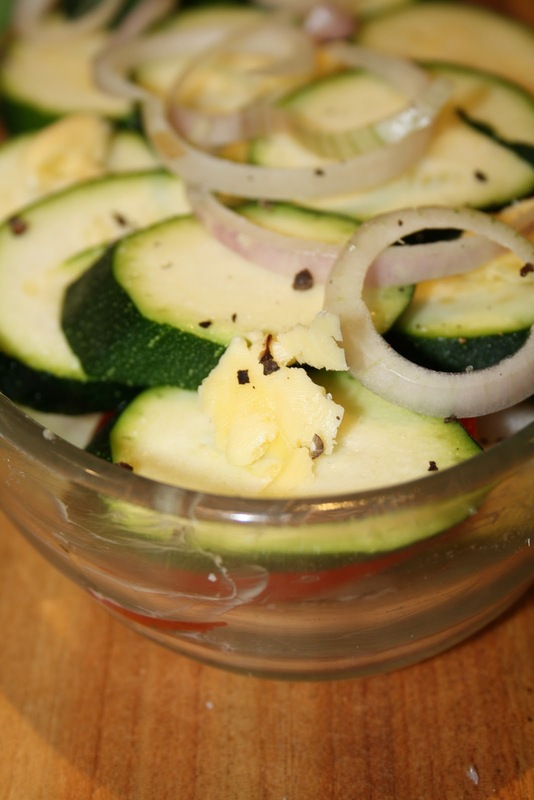 OK so for those of you who love your zucchini then this recipe is for you, it is simple, quick and oh so tasty. 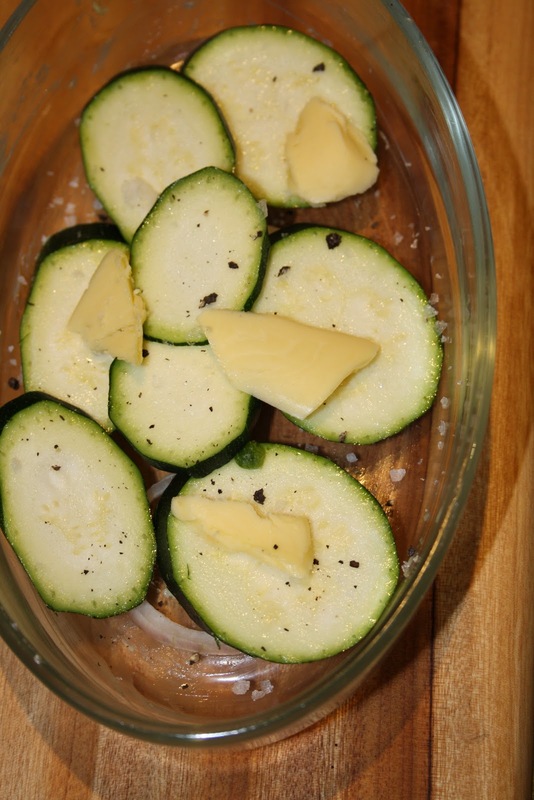 Preheat the oven to 180 degree (350)then lightly grease a small oven proof bowl with butter then place a few slices of onion on the bottom, followed by a layer of zucchini slices, a few small knobs of butter, salt and pepper. 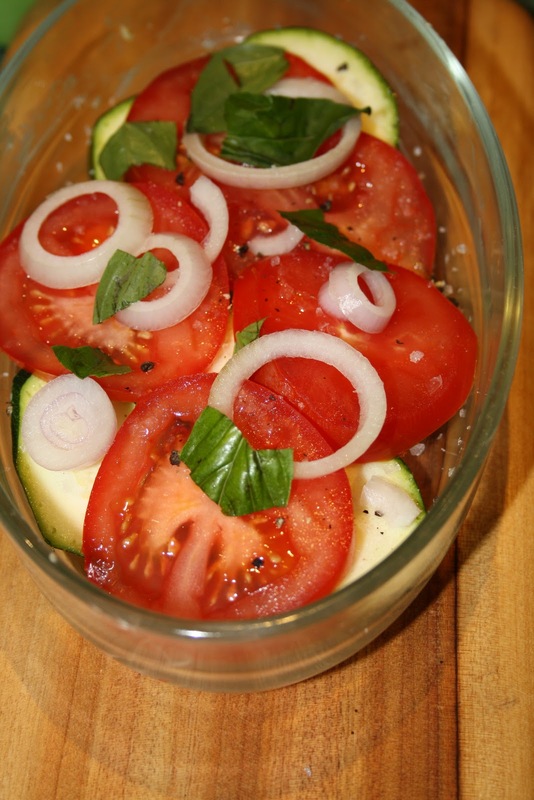 Add some slices of tomato followed by a few more onion slices, freshly ripped basil leaves and pepper. 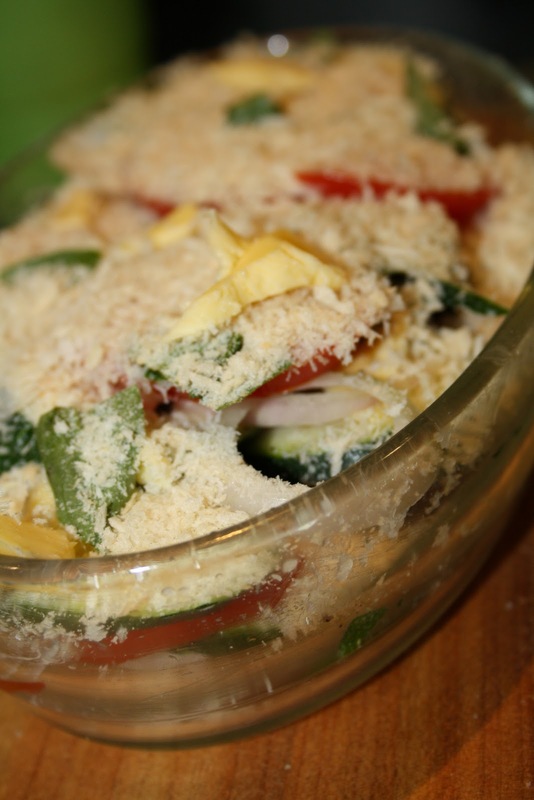 Bake for 20 minutes or until the vegetables are soft, the breadcrumbs are browned and it smells delicious! 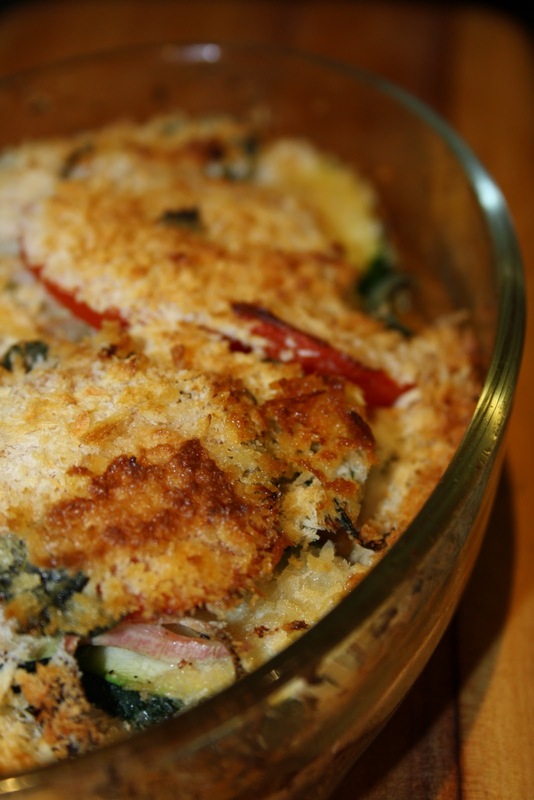 You can make the zucchini pie ahead of time and then just warm it in the oven when needed. A great side dish for Thanksgiving that I'm sure no one else will have. Well Milly I haven't made this for years, it is a great way to use up all my home grown zucchini. I hadn't either until yesterday...can't believe I forgot about it! Looks yummy. I was baking cookies and baked up a couple dozen baby themed...they're in the freezer, so keep me posted. 11 days?! I would not be a pleasant mom to be! Ooooohhh, zucchini pie! What a lovely idea...zucchinis are just so good! Looks great! I love the mix of flavors here and zucchini is one of my goto veggies!